[June, 2011] Together with friends I emptied a bottle I bought for 25 Euro in May, 2011. 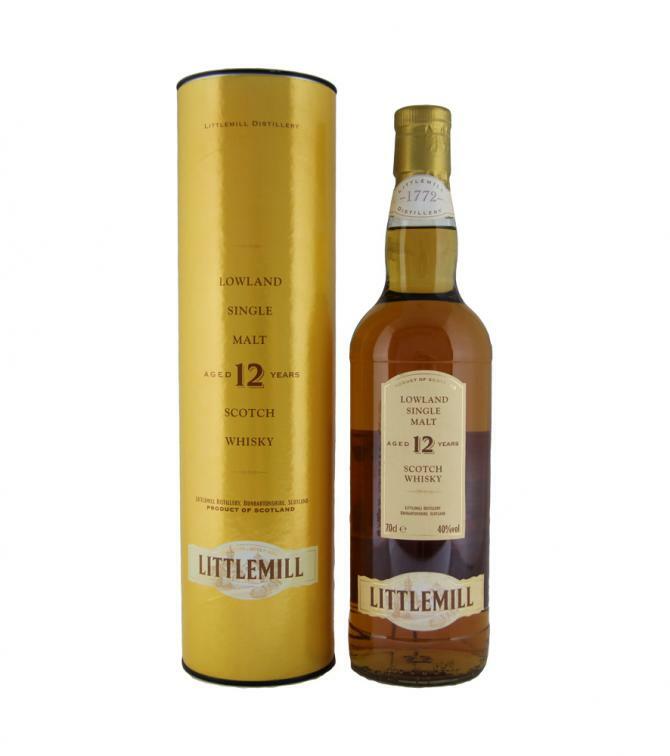 Actually this is at least a 16-years old Littlemill because the distillery finally closed down in 1994 and this was bottled and sold by the Loch Lomond Group in 2011. But it is rumoured that all casks of this batch were of the 1991 vintage (so it is almost 20 years old). In my old rating system (ten scales that translate into WB points: 50 - 66 - 75 - 80 - 82,5 - 85 - 87,5 - 90 - 92,5 - 95) I scored this 85. My notes state a sweet and easy-to-drink dram without specific highlights. 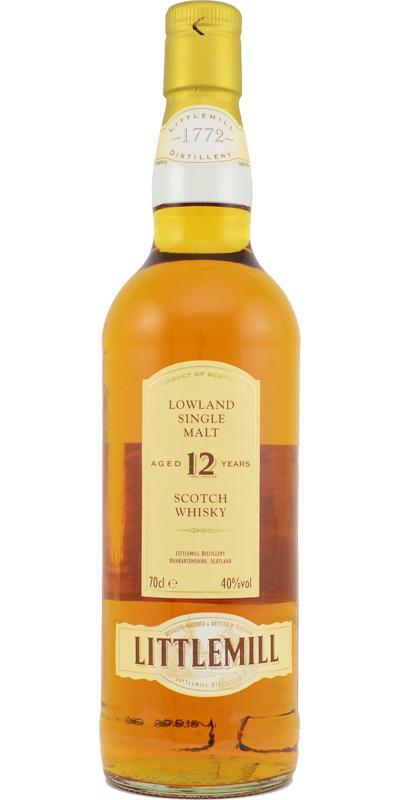 The colour is yellow gold and the nose offers a Traditional Scotch profile with lots of overripe fruits (cantaloupe, peaches, apples), honeys, barley sugars and waxy as well as oily and chalky-mineral aromas. There are some spices too but the woods are rather shy here. Actually, this is not bad at all and certainly better than most of today's wood-driven noses (to me) - but it all depends whether one preferes the modern or the traditional whisky styles. The taste is (compared to the nose) rather unimpressive on sweet (mainly barley sugars) and bitter (tannins) flavours with some shy fruits and spices. This is easy to drink but not more. Water is not recommended as it just flattens the dram. 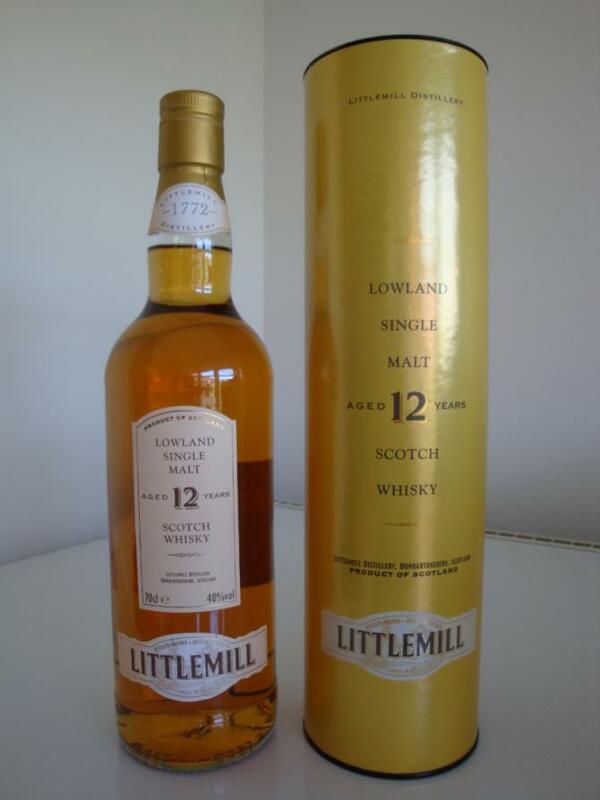 The dram arrives warming but not coating on the palate with a minor drying feeling (metals). The finish is short and adds no new impression - just a minor drying moment pops up towards the end again (metals and tannins). What should one say? Maybe a nice introduction to the Lowlands, but you do not miss so much when you go around it. 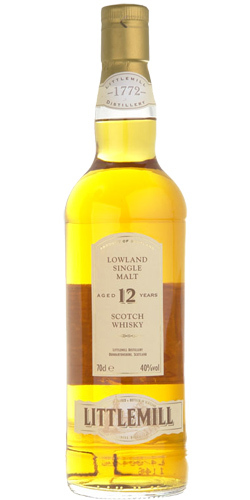 A medium-strong malting note, quite dry, gentle vanilla notes and also traces of darker berries. Overall, nothing that makes you feel stupid, but at least "neat". Pretty sweet, but unfortunately slightly perfumed. In addition, but also beautiful caramel and coffee notes, which dressed in only 40%, also quite well come into their own. That reminds me a little. Before you can think about this, he is already gone ... so far too short. Soft, creamy, wood & fruit. You notice the age, which should rather tend towards 18y. Nice whisky and too bad that it was now (finally). A nose so interesting .... and a mouth so disappointing! A dram to start in the world of whisky but that will not make a career. Fruity nose on mango, apricot, peach. A touch of honey completes the whole thing. Where is this pretty fruity nose? A mouth too light. Some spices, wood, vanilla and ... ?? Nothing unfortunately.